We started out by taking apart an orange and trying to imagine it as a metaphor for the Chinese Exclusion Act, the law passed in 1882 that would ban Chinese immigration or re-entry into the United States for the next 60 years. What felt like a stretch for a moment—that uncomfortable Freirean “act of cognition”—began to thicken into a substantial connection and then did something unexpected. It dropped off into a surprising depth. We caught a rush that made us feel like we had struck upon something real—and we wanted to try it again. We tried it out with students and colleagues and with a series of objects (an umbrella, a pen, another orange, a plant). 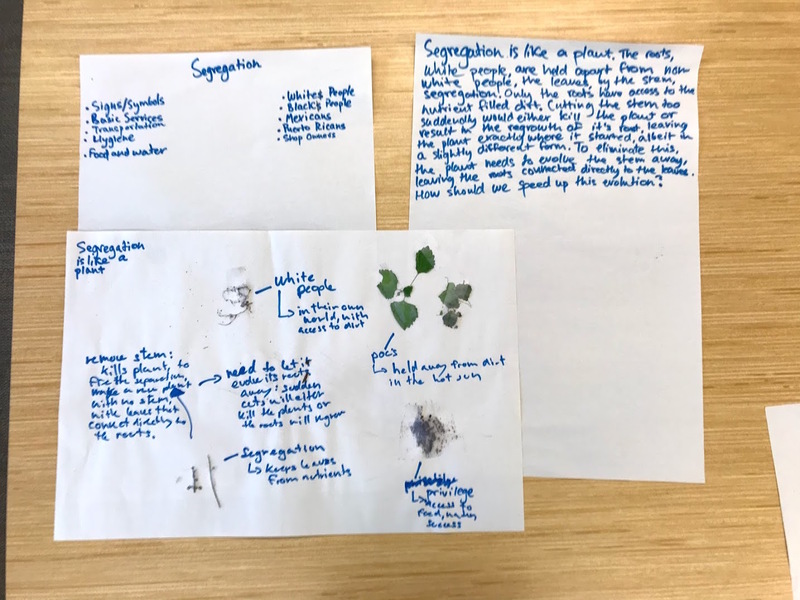 We tried it out with a variety of pieces of evidence detailing the systems of racial oppression we wanted learners to think about (women's rights in prisons, segregation signage, gerrymandering). We pressed against what we always press against: time. We searched for evidence of a complex system that could be digested in 5 minutes. We searched for complex objects that could be taken completely apart without tools in 5 minutes. We whittled away at the protocol and the object and the system of oppression and the evidence. After running through this iterative process, we landed on a complex system that is often hard to get inside of—race-based gerrymandering. 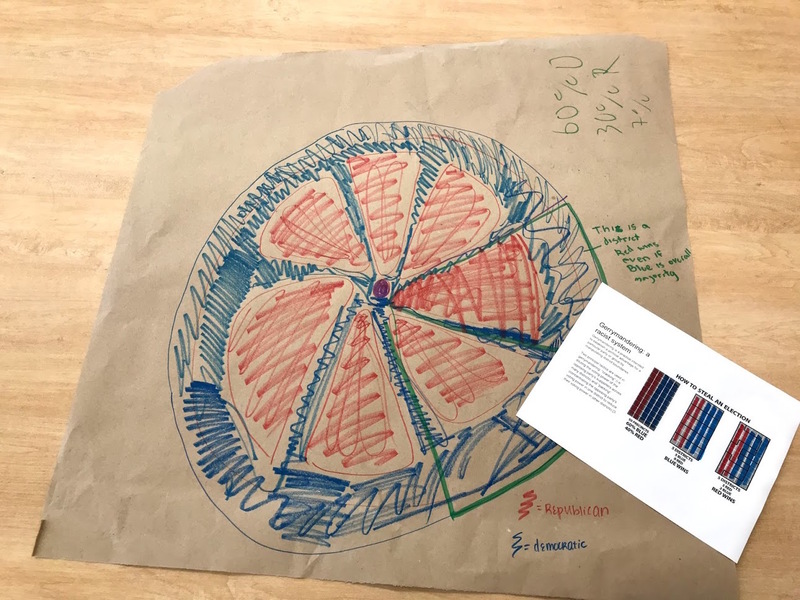 And we chose a 5-color pen to connect the system to an object that was both intricate and familiar. The question we brought to PoCC was this: How can building a sensitivity to design empower our students to make change? The workshop began in a crowded room in the Nashville Music City Center with a dauntless group of educators who worked on the floor because there were no tables. 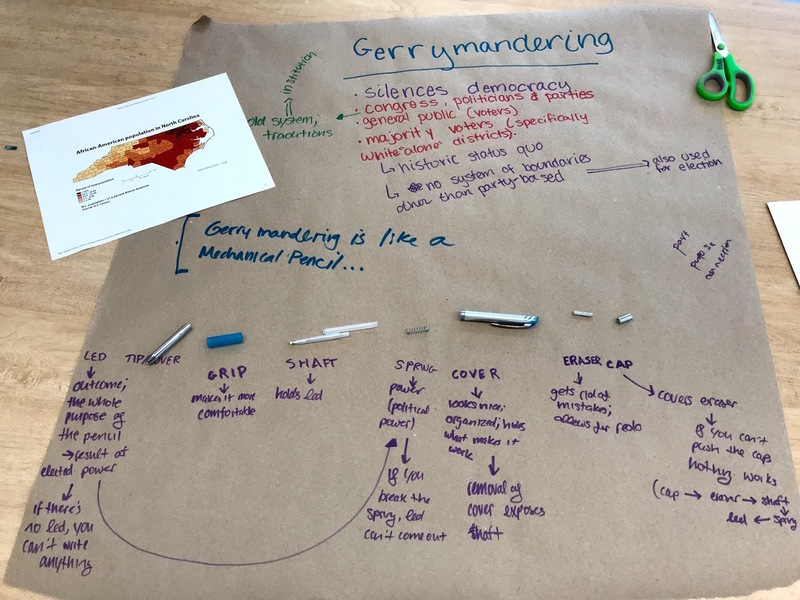 We asked them to look at evidence of the system of oppression (the map of racial gerrymandering In North Carolina), name the system it represents, and then identify the Parts, the People, and the Complexities of the system. With that context to our Take Apart, we passed out 5-color pens for learners to take apart and label the parts and the purpose of each part. 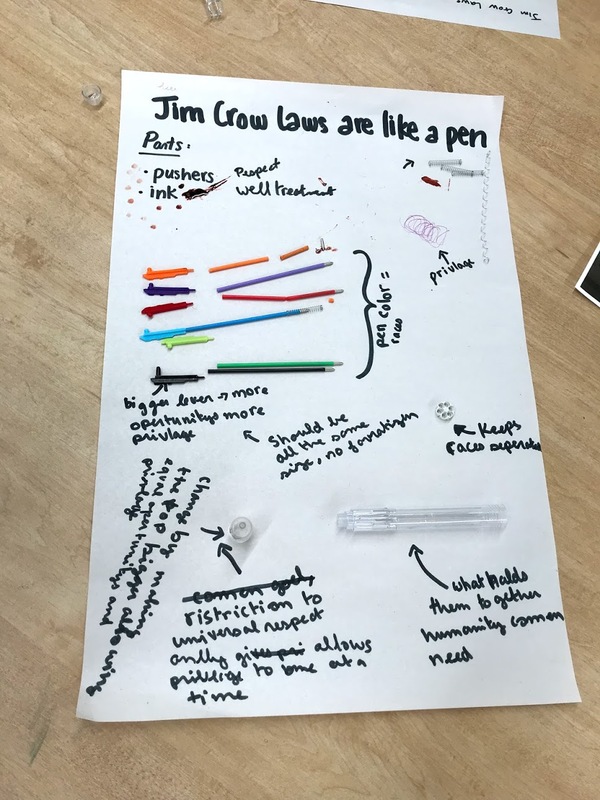 Then learners reached back to make a connection between each part of the pen and a part of the system of oppression, fleshing out the metaphor of the pen as a system of racial gerrymandering. 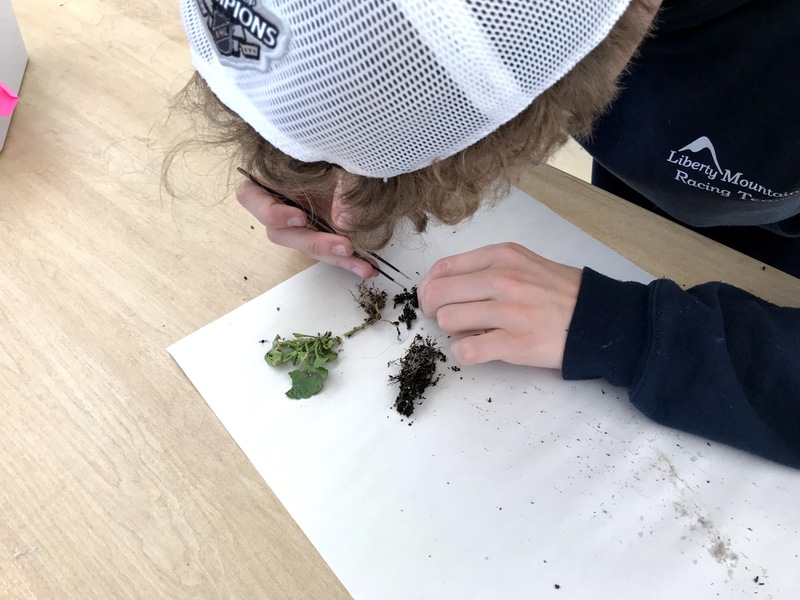 After spending some time with these two systems—the pen and gerrymandering—learners could now begin to find opportunity—to identify breakdowns or points of intervention in the pen that they could frame within their metaphor to examine sites of possibility. They wrote and shared stories of change, using their metaphor to explain and make visible their thinking. We hoped that the diversity of these stories would show the range of potential for change in the system of gerrymandering, and we weren’t disappointed. Some teams devised ways to break the pen in order to disrupt the system, some wanted to expose its workings, and others transformed their pen to work in a radically different way. While every team began with the same materials, they came up with dramatically different approaches to rewriting the narrative. Indeed, they’d built a shared trove of fresh stories of change. The stories themselves and the process of generating them from our own perspectives are a step toward collective action for justice. Reimagining power and exercising agency within that new narrative is a seed of empowerment for our students and ourselves. Taking apart can add the insight of our hands into the act of making change with our minds and hearts. Download the full lesson plan Take Apart Racism: Using Maker-Centered Practices to Break Down Systems of Oppression—artwork and design by Mark Perkins. This blog was published on March 21, 2019. Jaime Chao Mignano is the STEAM Community Coordinator at Washington International School in Washington, D.C, home of Agency by Design's Making Across the Curriculum Project.